Specially formulated for plants by renowned author, researcher, and horticulturist Ed Rosenthal. 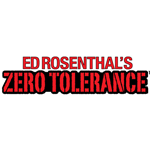 Ed Rosenthal’s Zero Tolerance ® (ZT) is a line of herbal pesticides and fungicides that are made entirely from ingredients derived from plants. By combining different plant oils, the products offer a potent blend that attack insects and spores in multiple ways, quickly eliminating them. The active ingredients are essential oils and the inert ingredients are vegetable glycerin and soy lecithin. There are no harmful chemicals in ZT and it is completely safe to handle and use. 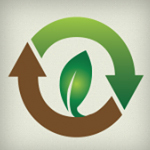 The products are exempt from Federal EPA registration under section 25(b) of FIFRA. ZT offers advantages over other natural products that are used to stop spider mites and soft-bodied garden pests. ZT leaves no residue on plants because all the oils evaporate fully. It is safer for the garden than Pyrethrum, which is toxic to fish and reptiles. Ed Rosenthal’s Zero Tolerance® comes in two formulations: Herbal Pesticide and Herbal Fungicide. It is bottled as both a Ready-to-Use and a Concentrate. Ed Rosenthal’s Zero Tolerance Pesticide — OMRI Listed for use in organic gardens––kills and repels spider mites, aphids, whiteflies, thrips, ants, caterpillars, gnats, root aphids, mealy bugs and scale and will stop white mold and powdery mildew. Primary ingredients: essential oils of cinnamon, rosemary, thyme and clove. Available as Ready-to-use and Concentrate. Ed Rosenthal’s Zero Tolerance Fungicide is specifically formulated to treat molds and powdery mildew while preserving pH balance. It prevents and kills powdery mildew, gray and white mold, black spot, and most other molds and fungi. Primary ingredients: potassium bicarbonate, and essential oils of cinnamon, rosemary, thyme, clove and wintergreen. 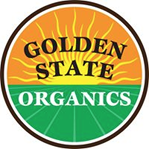 Organic Nutrients is southern California company that focuses on the development of natural soil additives and ingredients. The company was founded in 2010. 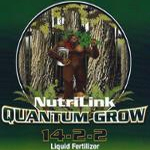 The Organic Nutrients product line includes plant-digestible chitin and microbial inoculant called insect frass, as well as an organic pesticide, miticide, and insecticide called Phytol.